"Broadway's dark tonight/A little bit weaker than you used to be." "Baby's black balloon makes her fly/I almost fell into that hole in your life." Oh, May/Put your arms around me/What you feel is what you are/And what you are is beautiful/Oh, May/Do you wanna get married/Or run away?" "And I don't want the world to see me/'Cause I don't think that they'd understand/When everything's made to be broken/I just want you to know who I am." These iconic lyrics, from our hometown band, were taken from songs on one of most successful records of the past quarter-century. 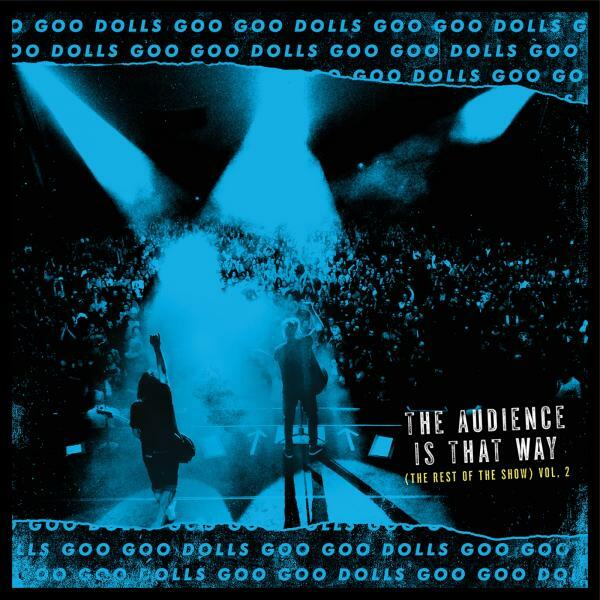 They'll come to life in October when the Goo Goo Dolls perform "Broadway," "Black Balloon," "Slide," "Iris" and the rest of "Dizzy Up The Girl" in its entirety. 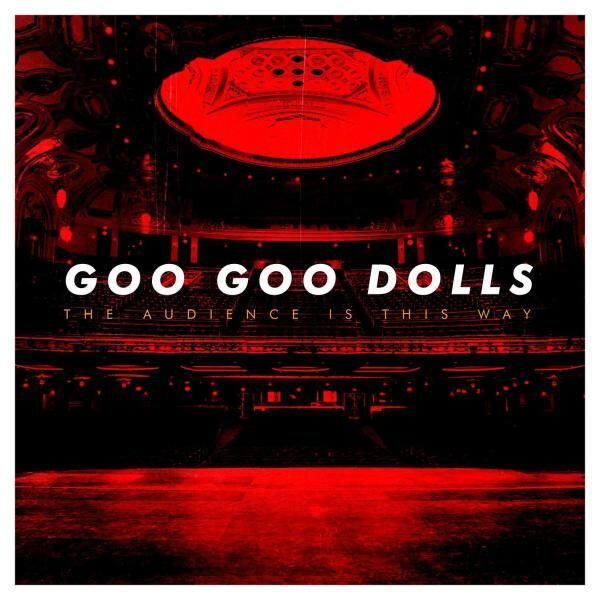 The "SiriusXM Presents: Goo Goo Dolls - Dizzy Up The Girl 20th Anniversary Tour" visits Shea's Performing Arts Center in Buffalo for 8 p.m. shows on Oct. 19-21. 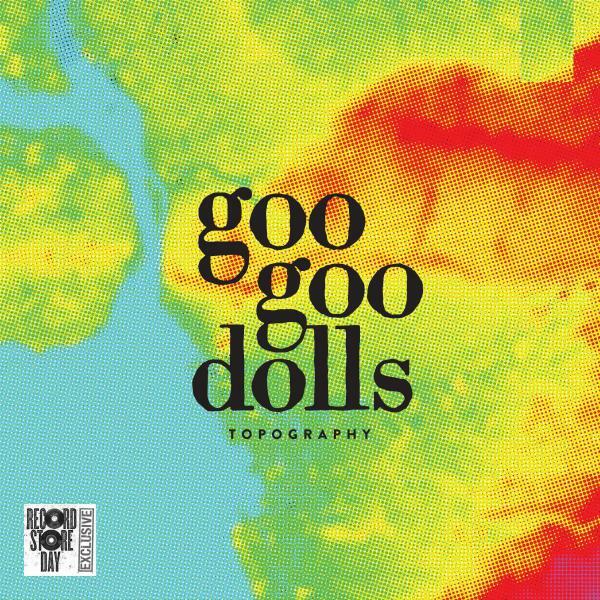 Per the band's marketing agent, BB Gun Press, each night will see the Goo Goo Dolls perform the full record, then stage an additional set "packed with surprises and more of their hits." Though John Rzeznik and Robby Takac found commercial and critical success with 1995's "A Boy Named Goo," and its hit singles "Name," "Naked" and "Long Way Down," the band became a global phenomenon with its 1999 release, "Dizzy Up The Girl." Behind the Top 10 songs listed above, the record sold 6 million albums worldwide, while going four-times Platinum in the U.S. "Iris," which was featured in the Nicholas Cage-Meg Ryan film "City of Angels," netted three Grammy Award nominations and has 275 million Spotify streams. Rzeznik, who's also hosting a podcast called "Chorus and Verse," chatted with NFP about the album - and what it means to perform at Shea's. An edited Q&A follows. Q: So, John, I could certainly never do you do up on stage, but I understand that you have recently been doing what I do and that is interviewing other musicians with "Chorus and Verse." I'm curious as to what you can tell me about that? John Rzeznik: Yeah, wow, it's really, really interesting to dig into someone else's brain and explore their process of doing it. I've had some really pretty insightful conversations with people, I think, and just trying to understand where they're at. The thing that fascinates me the most about doing it is finding out the emotional part of it, like, "What was going on in your life?" "Well, how did that make you feel?" Those kind of things. Because that's, I think, that's where the root of song comes from: What's going on in your life. Q: Let me let me ask you the same question that you ask these other musicians: We're talking about you guys coming back to town for the "Dizzy Up The Girl" tour. That album was crazy successful. I mean, crazy, ridiculous, successful. What do you remember about that period of time - about that creative process? And did you guys have any inkling that it would do as well as it did? John Rzeznik: No; I didn't think it was going to do as well as it did. But it did. And, you know, I'm still very grateful for that. I think, you know, we had some success with "Boy Named Goo." And then I felt a lot of pressure. But it was all from myself. I was putting an awful lot of pressure on myself to sort of beat that album, you know? But, my life and Robby's life were both going through a lot of changes at that time. And, in order to gain some sort of perspective, he and I moved out to Los Angeles for a little while - I actually wound up living out there a long time. He moved back a couple years before I left Los Angeles. But, you know, it was an interesting time, because it was sort of like making the transition from being a kid to a grown up. There was a lot was a lot going on, but we had the band and the music and, you know, we had a lot of parties (laughs). We had a lot of parties to go to, and so it was fun. It was, all in all, it was great. I mean, there was a lot of fun and just enough heartache to make it important. Q: So, when you think about those songs now - when you approach them on stage - you guys, your lives have changed significantly since then, let alone how much they changed significantly back then. But when you approach those songs now, how does it feel, and do you approach them differently because of where you're at today? John Rzeznik: Well, I mean, I don't think they're gonna sound exactly like they did back then, because, you know, we've been playing for 20 years more. So our physical skills are probably a bit sharper than they were 20 years ago. But it's interesting, because I start singing the lyrics, and then I hear the sound of the guitar, and it just takes me right back to that time. Boom! I'm right back in there. And it's like, "Wow," and then I remember what I was writing about, and then you kind of feel it. I'm feeling it, man. Q: I've had the good fortune to interview you and Robby a few times, and the two of you are two of the smartest musicians that I've worked with. Q: And so, particularly for that reason, I'm curious to know your philosophy of playing an album in its entirety. Because, if you think about bands and touring, more than nine times out of 10, bands are not going to play certain songs from certain albums - either because they don't want to, or because the audience doesn't want them to. Right? So, what makes it a good idea? What makes it appealing to you guys, and what do you think the fans will enjoy about you playing this entire album from top to bottom? John Rzeznik: I think there are songs on the album that, for whatever reason, we didn't play live, ever. And I think that that album was ... I think that there's parts of that album that've never really been played live, that people, you know, wanted to hear. I mean, people always ask for songs that you're not gonna play. (But) we advertised it in advance; we're playing the entire record from start to finish. And the response has been really, really great. So, I'm pretty excited about it. Q: Those songs that people haven't heard before, what do you think the audience will enjoy about hearing them for the first time live? John Rzeznik: If you liked it on the album, it's just different, because we have a bigger band now. We got five guys playing with us. The whole band is five-piece now. I think there will be slightly more mature versions of those songs. But we're just trying to capture that essence of where it is. You're never going to catch it completely. I think it's gonna put them back in a space they might have been in. A lot of people grew up with that record, I'm proud to say. Q: When you guys come to town, obviously you've got your pick of the litter when it comes to venues. What did you like about the opportunity to perform at Shea's? John Rzeznik: Because going to see a show at Shea's is more than going to see a show. It's like, you get to go out, you make a whole night of it. You know, you walk into Shea's and it transports you into a different time and space - and it's just gorgeous. And the vibe is good. And it's the best of what Buffalo's all about, you know? And I've been in every huge city in the world, and played in some really beautiful places, and that's Buffalo's. For a guy like me to play at Shea's in Buffalo, that's like, you know, that's like getting to play at Carnegie Hall in New York. It's such a classic venue; and it's so beautiful and so well preserved; and it makes me feel proud to get to be on that stage. Q: What can you tell me about (summer 2018 release) "The Audience is This Way"? John Rzeznik: (Laughs) Oh, yeah, that's just sort of every night. I have a sign on the side of the stage taped to one of my road cases, and it's got an arrow pointing at the audience - pointing toward the room - and it says, "The Audience is This Way." And it's just sort of a reminder, you know, it's a reminder to engage the audience. Because I still get a little stage fright-y - not stage fright-y, but I still get nervous before I go on. And it's just sort of, "Oh, as a reminder, the audience is that way," meaning engage them. Q: When you're recording a live album like this, does it change the dynamic on stage? Does it put extra pressure or different kinds of pressure on you to perform that night? John Rzeznik: Well, I mean, you hope that everybody's brought their "A" game on their instrument. But that album was recorded over three years. We just recorded every single show. So the way the album works, I mean, there's shows where you can hear the crowd is huge. And then there's other ones where the crowd isn't quite that big. It's interesting, it's interesting, because it's not one show, you know what I mean? Q: So, it wasn't a conscious thing, like, "OK, tonight's the night," kind of thing? John Rzeznik: Yeah. No, we dug through like three years of shows and tried to find the best that we could, because that's what this was all about. And putting them together, it's more of a compilation record then an actual, like, "Hey, we recorded this concert." Q: So, you had options, obviously, as far as you could take better nights, better crowds; but how did you decide on the songs that you were going to include? John Rzeznik: I don't know. We just did it on the spur of the moment. I mean, me and the guitar player, Brad, and this kid, Chris Szczech, who's a great engineer, we just worked on it out in L.A., and, yeah, we just sort of picked what we thought was the best stuff, you know, and then just mixed it. Q: So, talking about the best stuff, when you guys come here, you're doing "Dizzy Up The Girl," but then you're gonna have a second set where you're going to be doing different songs. What's the thing that you're playing or singing today that you're most jazzed about, that people might hear from you guys when you come to town?